Fate is poised to rip Troilus and Cressida apart. When Antenor is captured by the Achaeans, they demand Cressida as part of the ransom to return Antenor to Troy. Troilus doesn't dare reveal his secret romance with Cressida. But if he doesn't, he could lose Cressida forever. 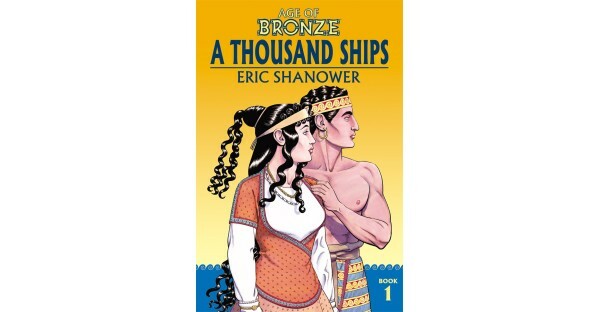 Eric Shanower (The Wonderful Wizard of Oz, Little Nemo: Return to Slumberland) will release all-new full-color editions of his acclaimed historical fiction series beginning this September with AGE OF BRONZE, VOL. 1: A THOUSAND SHIPS.